Rest in supported postures for deep relaxation and rejuvenation. 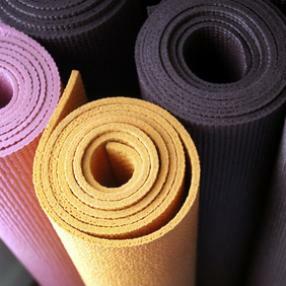 I love the idea of using yoga for fitness, and it's great for that. My Surfer Yoga workshops definitely explore ways to activate and strengthen surfing muscles. 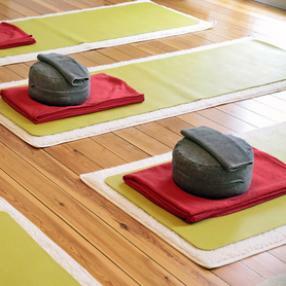 But recently, I've been injured and sick and stressed and have come to really appreciate yoga for its more "yin," calming, and restorative properties, so these classes will be energizing and leave you with a "yoga buzz" (we hope! ), but if you're looking for power vinyasa, then this ain't it. I also feel really, really strongly about making yoga available to everyone and every body. Who cares how in shape or flexible or whatever you are? My thing is, if you can breathe and if you are willing to grow, you can do yoga. 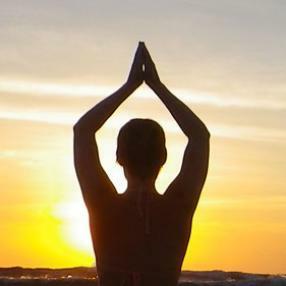 So these beach classes will be beginner classes combining asana (movement), pranayama (breath), mudra (pretty hand poses that activate certain energies), and mantra (words are pretty powerful things, turns out), and meditation. Most classes will have a nice, lovely flow (something I really try hard to achieve). There may be days when we "workshop" a certain pose, mantra or mudra, and there may be days where we do more meditation than asana. Most days will be straight up, body positive, ocean loving, fresh air breathing, life force growing gentle, sweet vinyasa classes. I once read that yoga is learning how to fall in love with your life, and I'm all about that. First half of class is dedicated to relaxing the body through a series of gentle and supported postures. Second half focuses on a guided meditation to quiet the inner mind in order to find peace and greater release. Breath-centered healing vinyasa flow for all levels. Adaptations and modifications are made for everyone according to their needs. A 10 minute silent meditation period is included at the end of class. Urban Zen (UZ) was created by fashion designer Donna Karan in response to her husband’s battle with cancer. Integrating Western medicine with Eastern healing techniques, Urban Zen was born out of Karan’s desire to thank the over-worked nurses and doctors who had helped them. 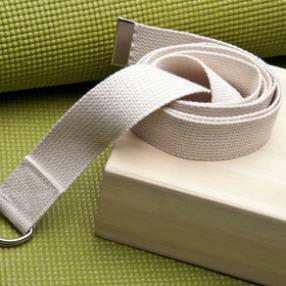 Gentle and Restorative, Urban Zen combines pranayama (breathing), asana (postures), Reiki, and essential oils. While suitable for all levels of practitioner, little prior knowledge of yoga is required; it is easy to learn, thus similar to a beginner-/Level 1-type class in terms of technical proficiency. Gentle vinyasa to warm the body and lightly stretch, then finishing with a few restorative poses to clam the mind and body.